These injuries are serious and often require extended medical care, sometimes costing in excess of a million dollars. Therefore, many guidelines have been put in place to help employers keep their employees and work zones safe. Whether employees are working with live circuits or not, employers are charged with the responsibility of developing and enforcing safe work practices. Though de-energizing equipment is the most accident-proof method, this is not always practical. Employers may determine that de-energizing the equipment could cause additional risk factors or render the equipment inoperable. When determining the safest course of action, risk assessment is a large part of arc flash prevention. It determines a facility’s specific safety practices based on the nature of the work and extent of possible hazards. 1.) Collect system and installation data. 2.) Determine modes of operation. 3.) Determine bolted fault current. 4.) Determine arc fault current. 5.) Find protective device characteristic and arc duration. 6.) Document system voltages and equipment class. 9.) Calculate the flash protection boundary. In addition, employers should make sure only qualified workers are handling “hot” equipment and non-qualified workers are safe in the work area. They should also keep an open line of communication with employees through a written safety program and regular job briefings. All employees should be aware of the determined approach boundaries around a charged piece of equipment. The outermost Flash Protection Boundary is set at a distance where, if a worker were exposed to an arc flash, they would sustain a curable second-degree burn. The Limited Approach Boundary is set at a distance where a worker would experience a shock hazard. The Restricted Approach Boundary is set at a distance where a shock hazard is increased. The innermost Prohibited Approach Boundary is set at a distance so close to the energized equipment that it is considered the same as making contact with the live part. Depending on the piece of equipment being worked on, these boundaries will fluctuate in distance. Every piece of equipment that generates 50 volts or more, and will not be de-energized, is evaluated for arc flash and shock protection and given an appropriate warning label. These labels determine the specific approach boundaries and what personal protective equipment must be worn. All facilities are required to provide a safety program with defined responsibilities, calculations for the degree of the arc flash hazard, personal protective equipment and safe tools for workers, and appropriate warning labels. All employees should be trained to identify all parts of the electrical equipment, determine the voltage of exposed parts, and know the appropriate clearance distances. Arc flashes are a dangerous occupational hazard, and with fluctuating parameters for each piece of equipment, you might consider learning more about electrical safety training. 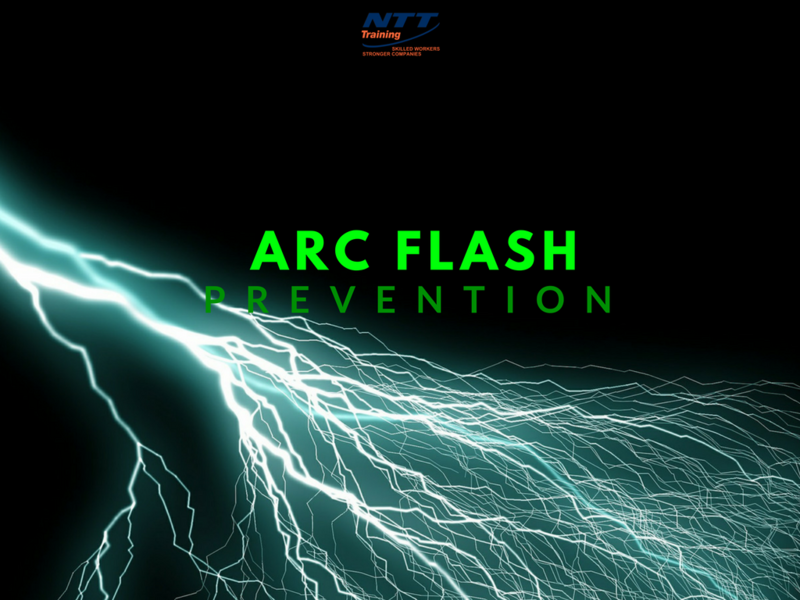 Contact NTT Inc. today for more information about NFPA 70E: Arc Flash Electrical Safety Seminars.